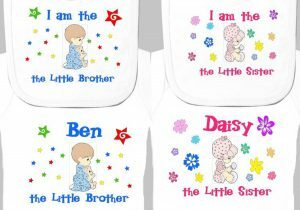 Little Brother / Sister design for bibs or vests in a variety of sizes. 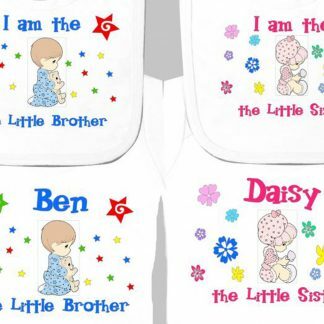 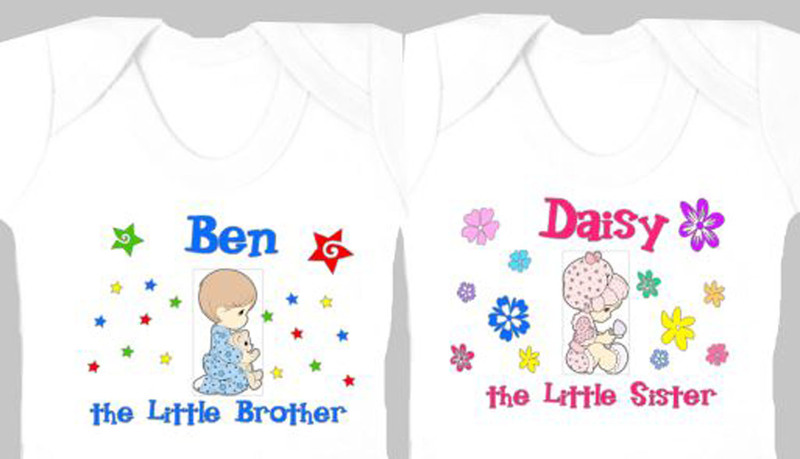 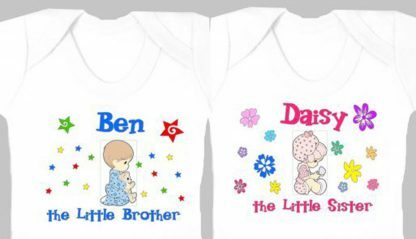 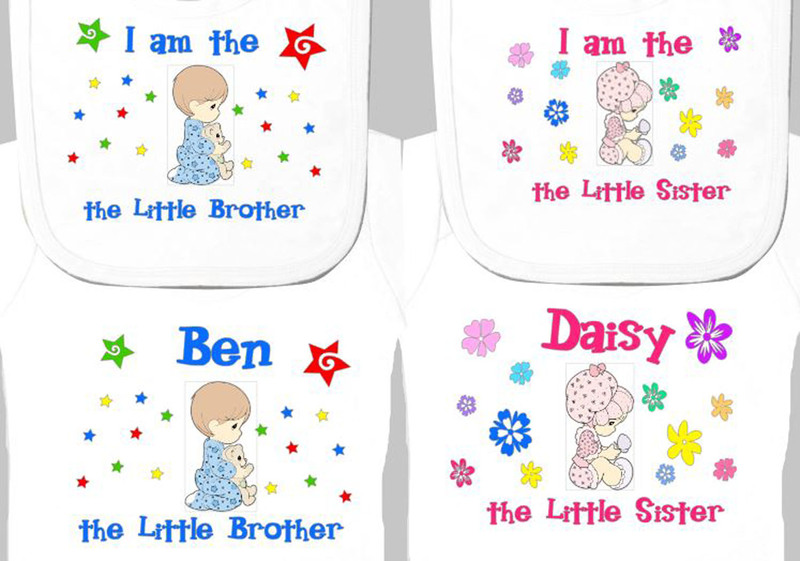 Choose either – I am the Little Sister / Brother or can be personalised with a name of your choice but PLEASE REMEMBER to message us with the name you require otherwise we will print – I am the little ……. 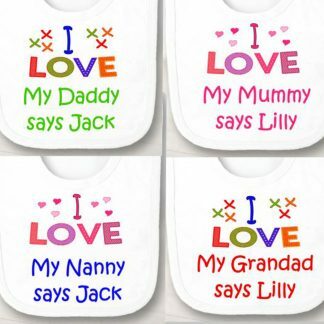 wording and colours can be changed to suit your occasion or child. 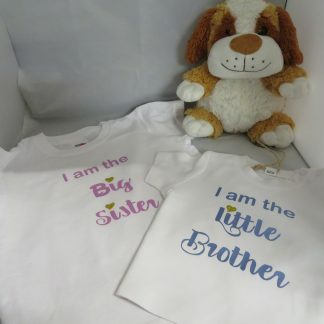 We are listing several different designs shortly, but if you have a design you would like please message us and we will see if its one we can supply. 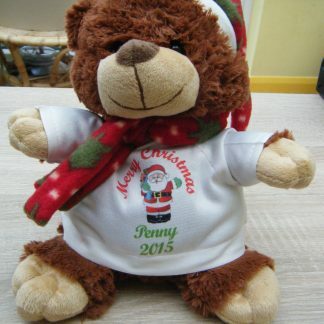 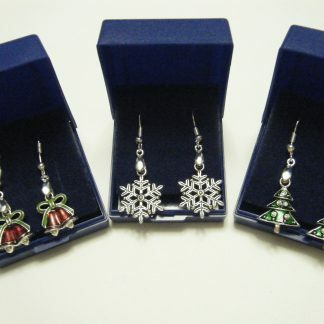 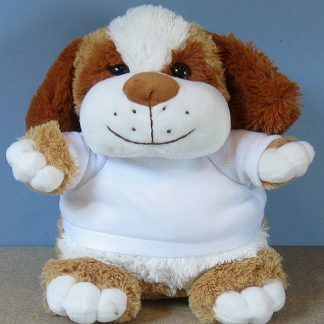 Thank you for viewing our website we are increasing our gift items so its always worth checking back from time to time to see whats available.